As an avid fan of Sarah J. Maas’ work, there was no way I wouldn’t pick up this book. I went to Barnes & Noble the Tuesday it came out and bought it. I had actually been putting off reading the novellas so I could buy the hardback and read them for the first times -since they were originally ebooks. I couldn't get the ebooks only to have the physical copies. My OCD would have a hay day. I just have so many feelings for this series, and I will happily read every single thing Sarah comes out with. 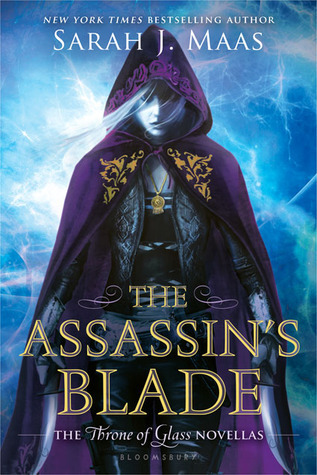 This review spans all five novellas: The Assassin and the Pirate Lord, The Assassin and the Healer, The Assassin and the Desert, The Assassin and the Underworld, and The Assassin and the Empire.